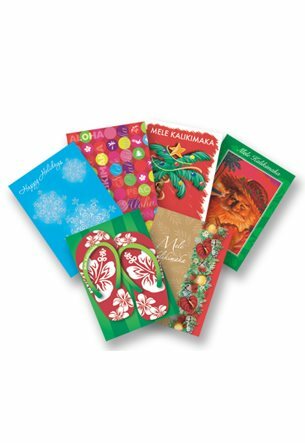 Send holiday greetings filled with aloha with 5"x 7" Value Pack Christmas Cards. These cards are perfect for those seeking quantity, value, and variety with a touch of Hawaiian flair. Each Value Pack has 24 cards and 25 white envelopes. The assorted pack includes six designs. *When making a return/exchange, item must be in same condition as when it was shipped. The cards arrived in perfect condition. The packing was excellent!! Thank you!